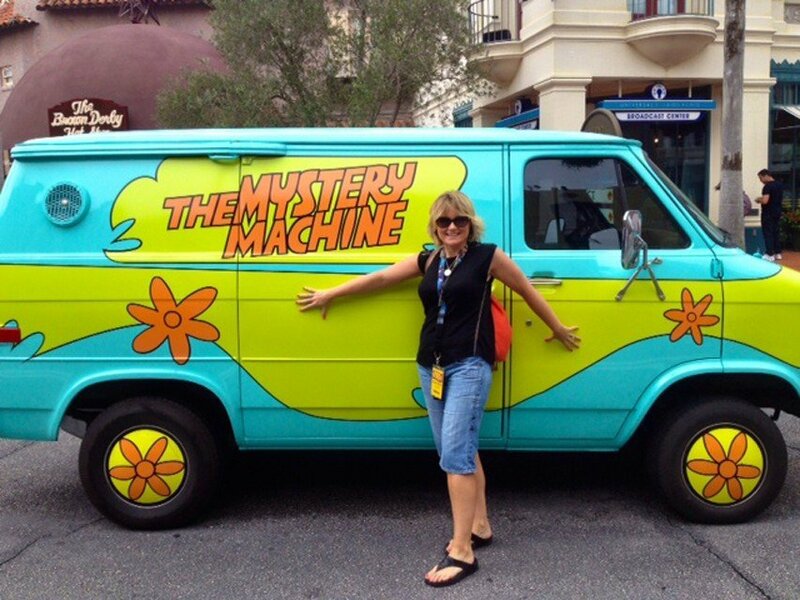 When visiting Orlando’s numerous theme parks, time is off the essence! Make sure you check out my top tips and find out all you need to know about Universal Orlando Resort before you go. The first thing you need to know about Universal Orlando, is that you need AT LEAST three days to see the parks properly. There are three parks in Universal Orlando Resort, Universal Studios, Islands of Adventure and the new Volcano Bay Water Theme Park. There are great rides in all three parks, so it is impossible to recommend one over another – you need to visit them all! There is a Harry Potter ride in Universal Studios and Islands of Adventure. 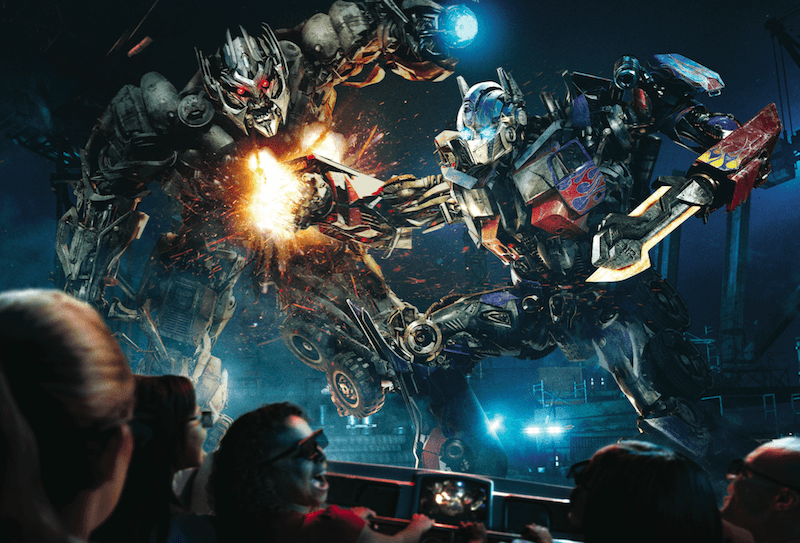 Universal Studios is home to Transformers, one of my personal favourites, The Mummy, the one that scared me the most, as well as the Simpsons Ride and Dispicable Me Minion Mayhem. However The Incredible Hulk, Jurassic Park River Adventure and some great water rides, are located in Islands of Adventure. See more on the best rides in Universal Studios here. Of course rollercoasters and simulator rides are all great, but on a roasting hot summer’s day, is there anything better than visiting a water park? 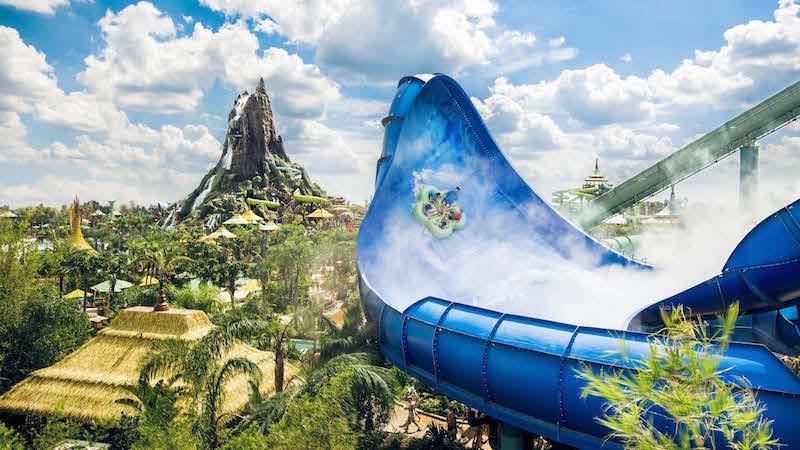 Universal’s Volcano Bay boasts over 30 unique experiences and 19 different attractions, including it’s own real sand beach! 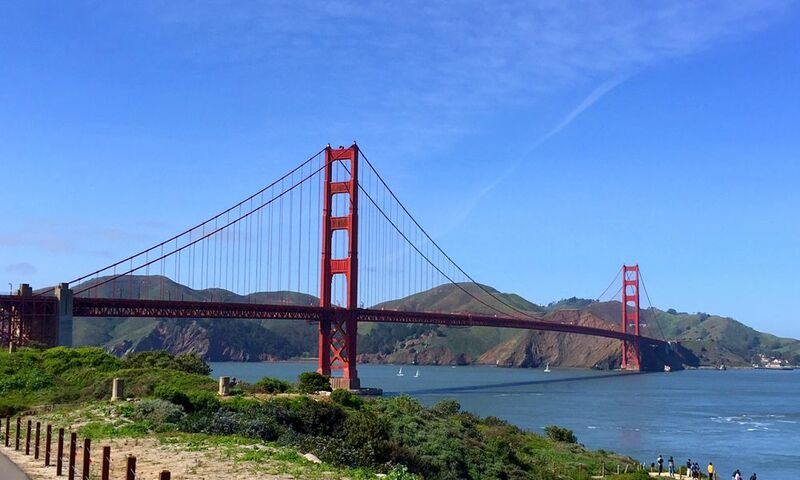 Now do you see why you need to visit all three parks? 2. You need to book tickets before you go. 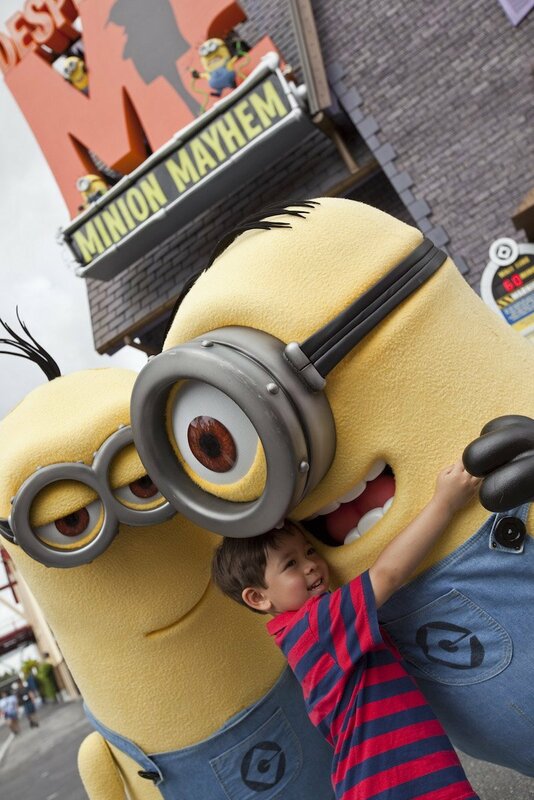 Booking tickets before you go is a golden rule when visiting Universal Orlando resort. Not only will you save yourself a fortune, but you will also be able to secure combination tickets that you can not buy locally. My favourite ticket is the Universal 3 Park Explorer ticket. This gives you unlimited access for 14 days to Universal Studios, Universal’s Islands of Adventure and Volcano Bay. 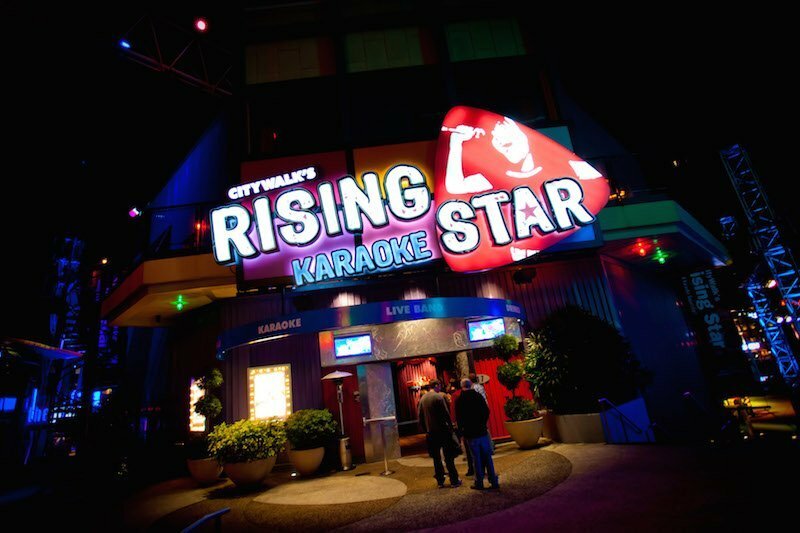 You will also have access to selected live entertainment venues in Universal’s CityWalk and you will get a free Tapu Tapu, a waterproof wearable, that allows you to hold your place in a ‘virtual line’ at Volcano Bay. Attraction Tickets Direct offer many more combination tickets, so if you want to visit other parks, they have a wide selection to choose from. I love their exclusive Universal and Disney Combo ticket, or if you really want to see all the parks, opt for the Orlando Freedom Ticket Ultimate. 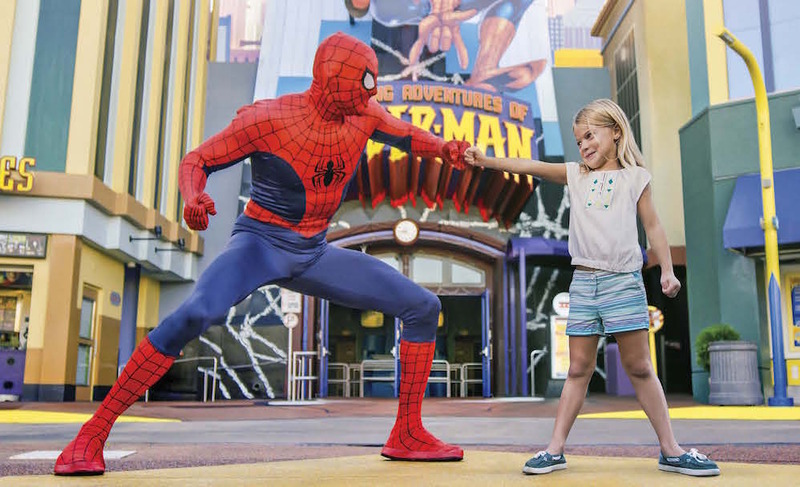 This allows you to visit all three Universal Parks, six Disney Parks as well as Busch Gardens, SeaWorld, Aquatica and Legoland. I should also point out that Attraction Tickets Direct send you real park tickets (not vouchers) so there is no queueing when you arrive, just sail through the entrance doors! Another thing you need to know about Universal Orlando Resort tickets, is that a €25 deposit secures your booking. So even if you are planning for 2020, you can book now and pay the balance 6 weeks before departure! 3. The NEW Harry Potter Ride looks like the best one yet! If you haven’t visited the Wizarding World of Harry Potter, you are in for a real treat. I was blown away when I saw it a few years ago. Diagon Alley, Hogwarts and the two Harry Potter rides were incredible, but the new Harry Potter ride, Hagrid’s Magical Creatures Motorbike Adventure, is supposed to be their best one yet! Watch the video below and you will get some great insight into what to expect, when it opens on the 13th of June. They actually planted 1200 trees so you will ride through a real forest. You can choose whether you want to be in the driver’s seat of the motorbike, or in the sidecar. Each seat offers a different experience – so you will HAVE to ride this at least twice! As you ride into the Forbidden Forest, at a mind boggling 50 miles per hour, you will come face to face with some of the creatures from the movies, including Hagrid’s three-headed dog, as well as experiencing a scary drop into the Devil’s Snare – I’m not sure I would be too keen on that part! This looks like it will not only one of Universal’s Studios best rides, but it could be the best ride in Orlando – watch this space. 4. 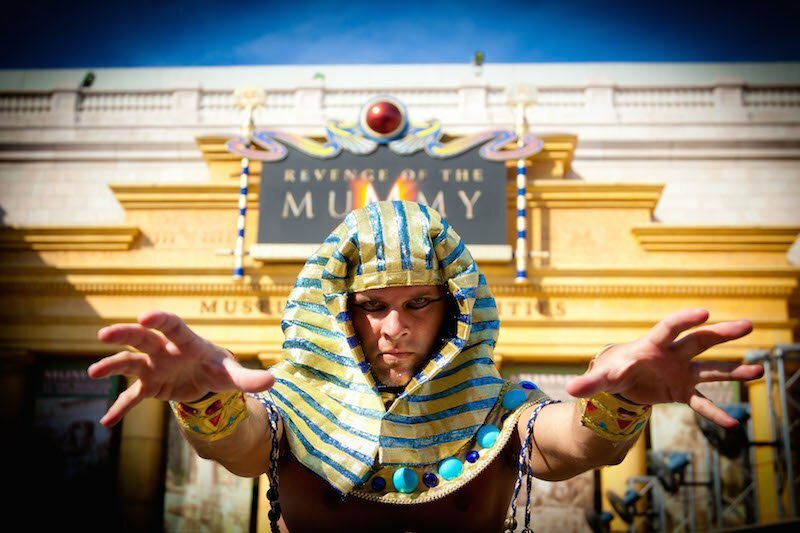 Stay at a Universal Hotel and reap the benefits! Staying in one of Universal’s eight hotels (one is due in 2020), is not as expensive as you might think. With the launch of the Endless Summer Resort Surfside Inn & Suites in August 2019, and a further value hotel in 2020, there are plenty of hotels to suit all budgets. Attraction Tickets Direct offer excellent rates on all hotels, so you can book the hotel and park tickets in one simple transaction. There are so many benefits of staying in a Universal hotel, but my personal favourite is getting early access to the parks, before anyone else. If you are travelling in peak season, this is a Godsend, particularly for the Wizarding World of Harry Potter and Volcano Bay. There will be no need to squabble over sun loungers, get to Volcano Bay early and you will have your base for the day! Other benefits include free entrance to CityWalks’s best venues and priority seating at selected restaurants in the parks and at CityWalk. You can also charge any meals or purchases to your room, so you don’t need to carry cash, and any merchandise that you buy, is delivered straight to your hotel. If you can afford to stay in one of Universal’s premier hotels, Lowes Portofino Bay, the Hard Rock Hotel or Lowes Royal Pacific, you will get a FREE Universal Express Unlimited Pass, which lets you skip the regular lines at some the most popular attractions. 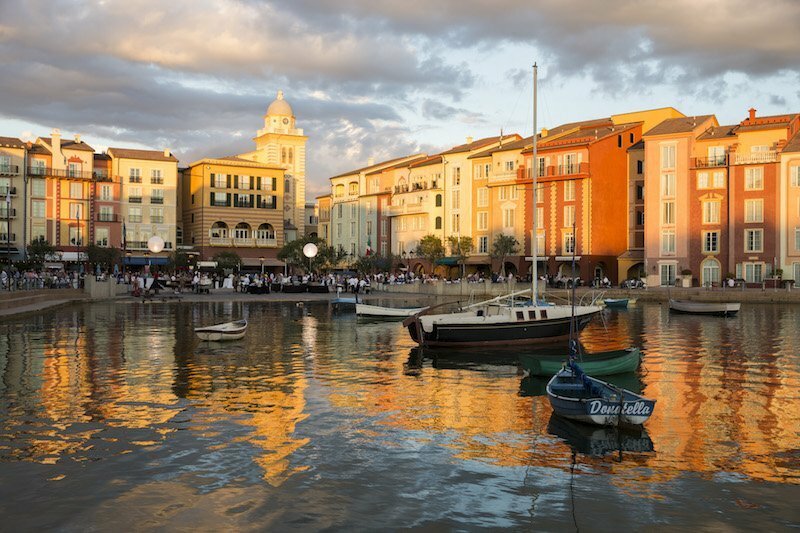 I stayed in Lowes Portofino Bay and it is superb. The price of a Unlimited Express passes for a family of 2 adults and 2 children, starts is $89,99 per person, per day x 4 = $359.96. 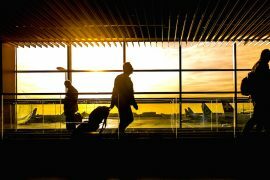 So that €200 per night you think you are saving, by staying in a cheaper hotel elsewhere, may not be worth it, particularly you going to buy the express passes. I highly recommend you to stay in one of the Universal Hotels, even for a few days, so you can avail of these amazing benefits. 6. You can use the facilities in ALL Universal Hotels. What you need to know about Universal Orlando Resort, is that you can use the facilities in all Universal hotels if you are staying in a Prime Value, Preferred or Premier Universal hotel. That’s all Universal hotels except the new Endless Summer Resorts (Surfside or Dockside). So if you opt for a Prime Value hotel, you can still enjoy an Italian meal on the piazza in Lowes Portofino. 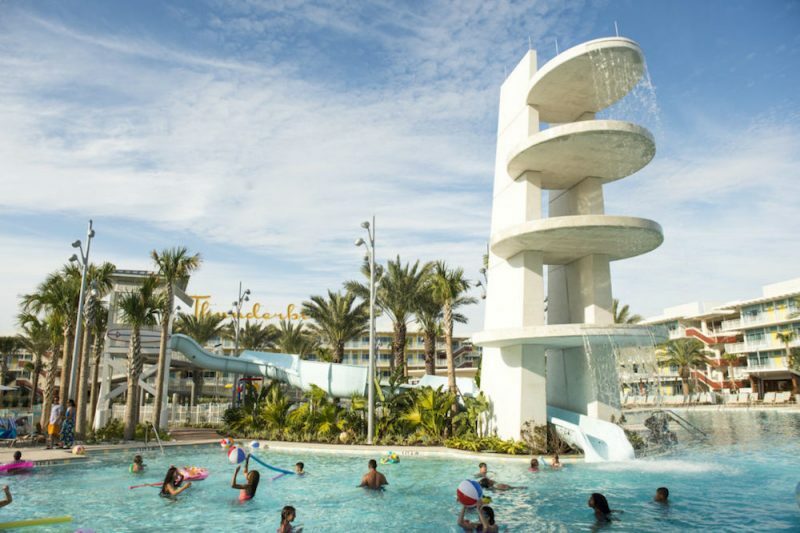 You can also slide down the 260-foot long water slide and listen to the latest tunes via the underwater sound system, in the Hard Rock hotel. Why not listen to a live opera performance or enjoy the Roman aqueduct-themed water slide, at Lowes Portofino Hotel? Fancy taking the family bowling? You can do that at Universal’s Cabana Bay Beach Resort! Make sure you visit Bar 17 Bistro in Universal’s Aventura Hotel, Universal’s first rooftop bar. Expect fine cocktails and tasty Wagyu beef sliders, from this stylish hang-out. Top tip: Go at night time and enjoy spectacular views of the Krakatau Volcano erupting at Volcano Bay. I know this might sound a little crazy, but planning your meals in advance is a great tip. Trust me, the queues are longer at lunch time in some restaurants, than what they are for the rides! If you avoid the peak lunch time rush from 12-3, not only will you have a much better dining experience, but you will also find that the rides are much quieter at that time too. Its a win-win! Have lunch at 1130am or 330pm instead and you will love the benefits! Alternatively if you fancy a leisurely lunch, pop outside the park to CityWalk, the restaurants are far superior and less crowded. 8. There is a Child Swap facility and shorter Single Rider lines. If you are travelling with small kids, that are unable to go on some of the rides, use the child swap system. This allows one person to stay behind with a child while the other members go on the ride. When they return, the remaining family member can go on the ride without queueing. Another good tip is to use the single rider line, it is always the shortest. If you are happy to go on a ride alone, choose this line and save a huge amount of queueing time. This is great when you are looking to experience a ride for the second time and don’t necessarily need to have your partner beside you to share the experience. 9. 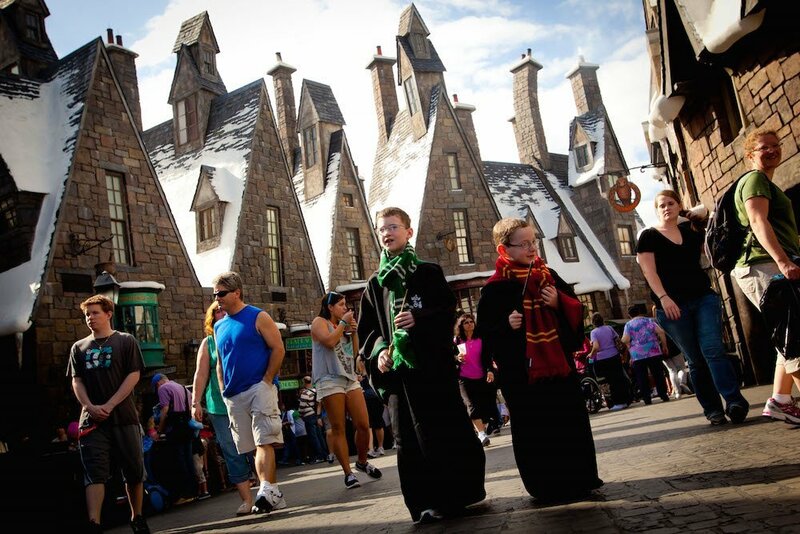 You need more time than you think to explore the Wizarding World of Harry Potter. 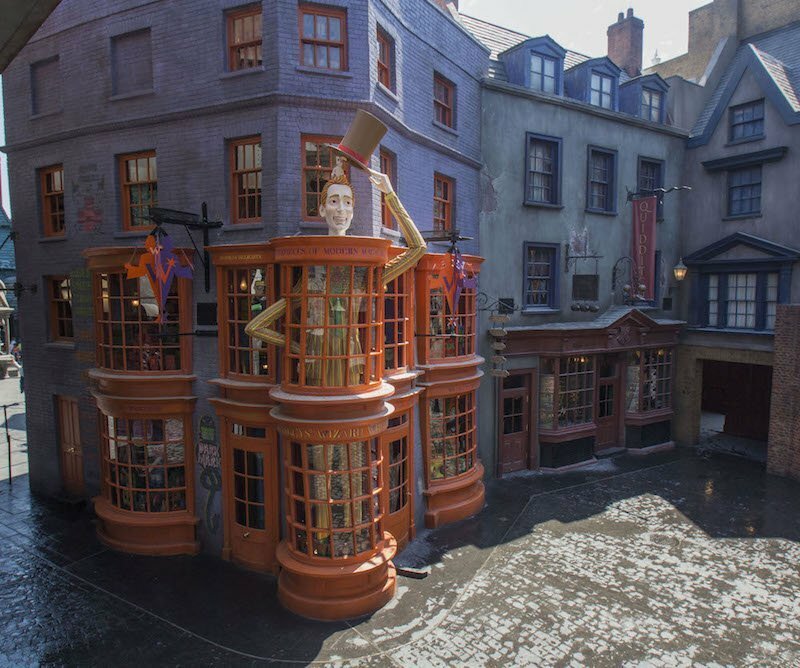 As well as two great rides (and soon to be three), there is so much to see and do in the Wizarding World of Harry Potter. 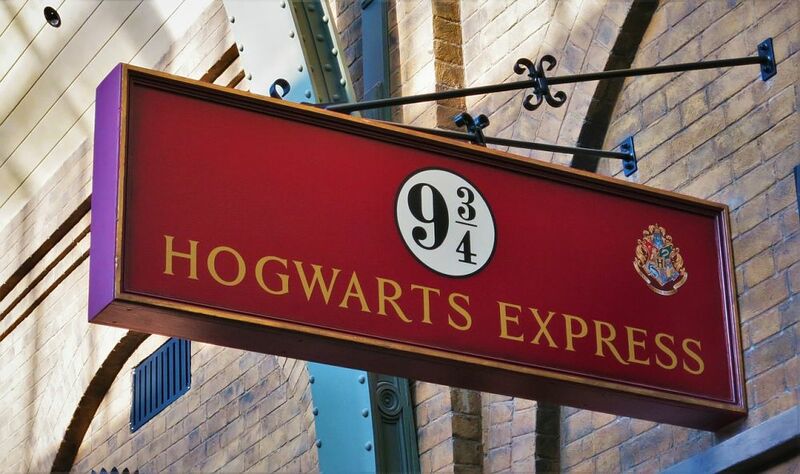 Make sure you walk through the ‘magic wall’ to the platform 9 and 3/4, before boarding the Hogwarts Express to Hogsmeade. The train journey is a replica of the one Harry took in the movie and the outward and return have different experiences. If you can, try to take both. Hogswarts castle is mesmerising as I loved strolling around Diagon Alley, the attention to detail is incredible. 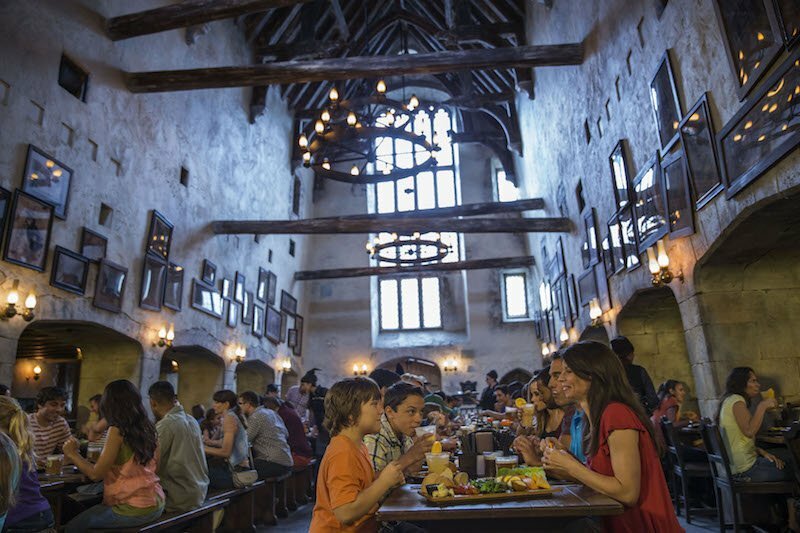 Make sure to taste some butter beer in the ‘Leaky Cauldron’ cafe too. A visit to Ollivanders is one of the top things to do in Universal Orlando. This immersive experience was one of my personal highlights. A child is chosen at random from the audience to receive a wand. It’s extremely well thought out and a great show – not to be missed. If you are not lucky enough to be chosen, don’t worry, you can buy a wand in the shop afterwards. 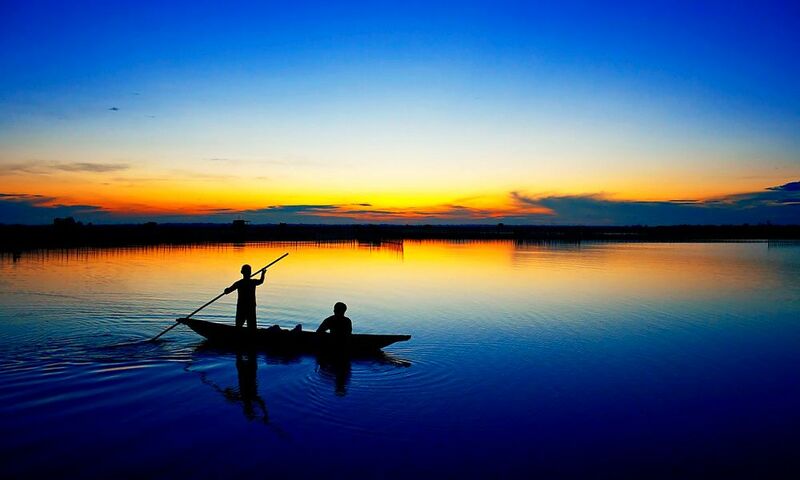 They are beautifully made and are a great souvenir to bring home. They also have interactive wands which work in various locations throughout Diagon Alley and Hogsmeade. You are given a map with clues, kids will love it! TOP TIP: Get to the park early, ideally before it opens, and go straight to Ollivanders, the queues can get extremely long throughout the day. You can read more about my time at the Wizarding World of Harry Potter here. The Universal Orlando app is not only great for planning before you go, but it also helps you when you are inside the park. You can see show times, the latest wait time for rides and access maps of the park. You can even use it to be pre-book a ride time on the Fast and Furious and Jimmy Fallon and join a virtual queue! All you need to know about Universal Orlando Resort is in their app. My top tip is to set an alert for your favourite ride, it will tell you when the waiting times are low. It also lets you pre-order your meals in selected restaurants, so you can skip the queue when you arrive! Prices are correct at the time of issue but are subject to change. 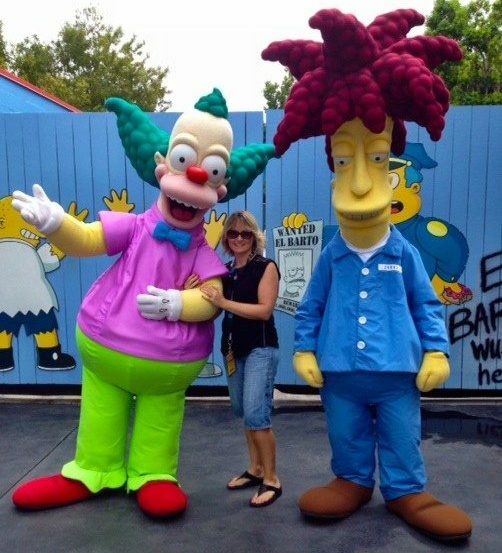 This post, 10 Things You Need To Know Before Booking Universal Orlando Resort,was sponsored by Attraction Tickets Direct but all views, as always, are my own.